Reverse countdown has started for Ritcha’s wedding. Time seems to be running out of hands. I am panicked most of the times these days. So, please excuse my lesser updates these days. With this wedding, I have come to know a lot more about bridal shopping in terms of all like makeup, accessories, dresses, lehengas and everything related. Today I am going to talk about bridal and wedding attire and mostly bridal lehenga shopping in delhi ! Wedding is an experience of a lifetime which nobody can afford to sacrifice. Of course every girl wants to look her best on D-day. Gals do spend endless hours online and on streets and showrooms in search of that perfect outfit. So you are looking for a bridal wear/ lehenga which is designed by top notch designers like Sabyasachi Mukherji, Tarun Tahiliani, Manish Malhotra, Rohit Bal, Ritu Kumar or Gaurav Gupta, which you used to dream of, then Defence Colony is your gateway to all those lusting bridal wear. But for that you must have a minimum budget of 2 lakhs. Of course that is the starting point that too if your luck is that good! 😉 If you are not willing to splurge this much, you may try designers’ outlets in Shahpur Jat. I have been to both the places and I can swear by the designs they have to offer. Chandni Chowk – Chetan Sari’s (bridal collection store), Madan Fashion, Kalakriti – you should visit these. Some amazing stuff they have. Some more like Shringar Saris and CTCs etc can be checked out too for some sarees collection etc. The problem is that I feel suffocated in Chandni Chowk 🙂. A must check is Om Prakash Jawahar Lal. Now, you must be wanting to see what we have got for Ritcha. Wait darlings wait 😉 Let it be a little surprise 🙂. I'm love with the first wedding dress! I am eagerly waiting to see Ritcha as a bride. She is so beautiful. I know for sure she will look nothing less than a princess. Wow these are beautiful! All those little details!! Charu these dresses are gorgeous! Love them all 🙂 Amazing colors and materials! I will love to have one of them..
All the dresses are gorgeous! The details and colours are stunning! beautiful dress! I also have a blog, can you take a look and tell me what you think? This is indeed a very useful post, I love how you keep sharing your experiences with us. And yeah I have been to frontier (karol bagh) and they posses exquisite designs ! 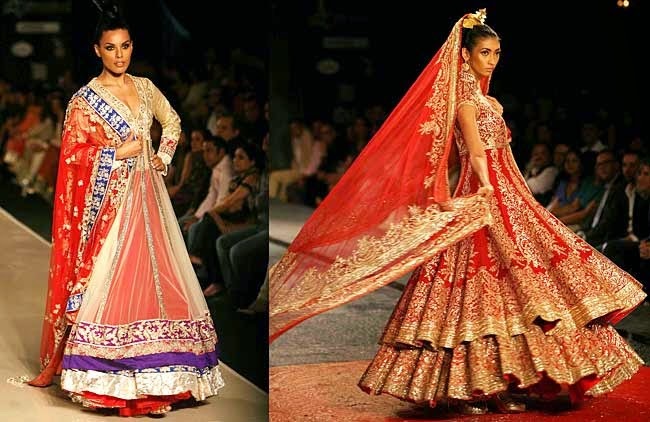 Wow, awesome collection of Bridal Lehenga you have shared here. Keep updating with new fashion trend. 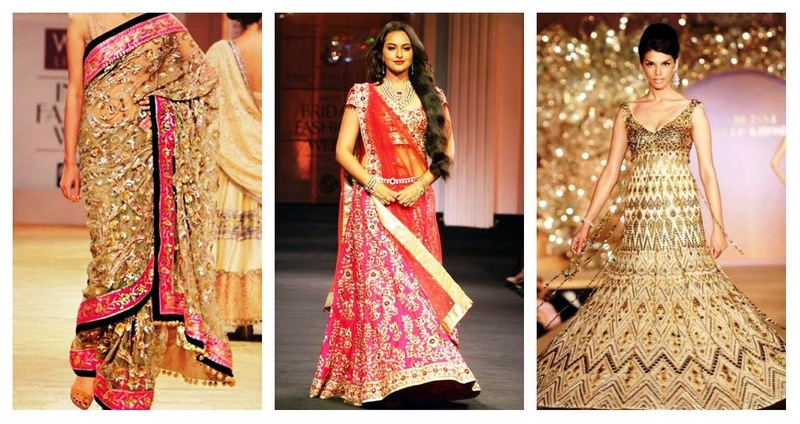 The lehenga collection is awesome. 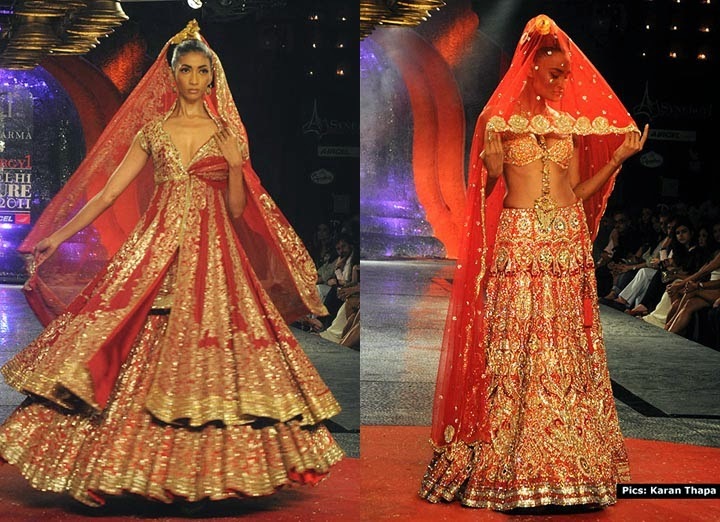 This collection consists every type of lehenga. They all are looking trendy and very much stylish.